We passionate selenophiles number in the millions and can be found on every continent going back to ancient times. I also plan all my courses, events, and retreats to include the Full or New Moon! Today's Full SUPER Moon can brag about being the brightest and highest moon of the year! So, how might we celebrate the Moon for her many gifts? 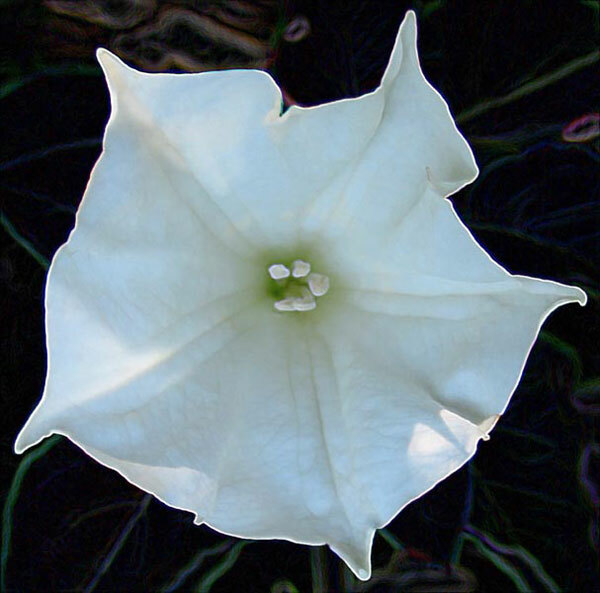 4) Plant the seeds or purchase night-blooming plants like a Moon flower, Starry Night Gardenia, or Cereus Night-Blooming flower. Then you can often enjoy their fragrance and beauty in the moonlight! 5) Research and join a local group that celebrates the moon with a ceremony. Don't know of one? Visit Find a Women's Circle: The DF App. 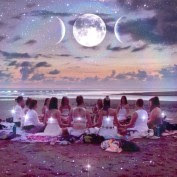 Another favorite place is the Facebook group of Sage Goddess Full Moon Ritualists which offers many opportunities to engage and learn more about the moon. 7) Have a Divine Dialogue with the Moon. Observe your energies before, during, and after these activities and moon dates. Jot them down in a journal. Isn't it now time to hoooooooowwwwwl at the moon?! Can you see yourself sitting on the white sugar sands of the Gulf of Mexico engaged in a New Moon Ceremony? Ahhh, what new intentions might you be thinking of writing on the "blank celestial blackboard?" Happy to hear that you enjoyed this blog, Theresia. Thanks for the book suggestion! It's on my TO BUY List. Merry Christmas Blessings to you and yours. You're so welcome...and happy that I could gift you with an "unwrapped pressie", Karen. YOU DO SO MUCH and I appreciate the group and your app. Merry Christmas, Moon Sistah. I hope we'll connect one day by phone....until then, be well and warm. I love the phases of the moon during December (they are the same every month, but December is special) - releasing the old, welcoming the new and starting with a clean slate on 12/29! Much love to you! Happy that you're a Moon SiStar, Peggy! Much love backatcha. Enjoyed reading this and learning something that I did not know. I especially liked your suggestion about quietly studying and staring at the moon and how it provides a perspective that our problems are not as big as we think they areven. I'm mesmerized by the moon and her phases, and can often be found during the full moon just sitting on the deck in deep meditation :) I also love making moon water and cleansing some of my crystals. Happy to learn that you're also a Moon SiStar, Katt. I haven't made moon water in awhile, so thanks for the reminder. I'll be writing more about the moon in the months ahead. Merry Christmas to you and yours! Stay warm and well. Thanks, Pam, for your encouragement about my writer's retreat. I'm over the moon about it! And happy to know that you're a Moon SiStar, too! Does your daughter remember these moon outings? Thanks, Sheila! Happy you enjoyed the links...do you vote to include links in a blog, or not? I took a chance and did something different this time. 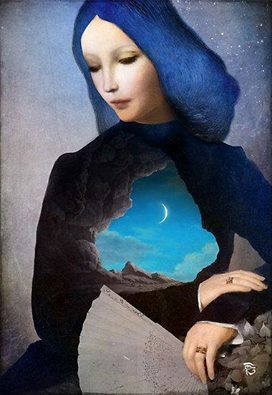 The links I shared about the FB moon group and Divine Feminine app, were enthusiastically appreciated by my friend, Karen Lee Moon, page administrator and founder. She shared the blog with tags to 18 people! I've never been a "moon" gal....always preferring the sun. I've definitely felt the effects of the changes lately & everyone says it's the moon. I'll be paying better attention from now on. Thanks for the enlightenment! Happy that this might have added a few moonbeams to your awareness, Tae. 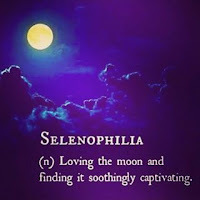 I, too, love the SUN and live in Florida because of that...and over the years, the moon's energy has entered my life....it's all an ebb and flow. Merry Christmas to you and yours...though I imagine it's a challenging time. My dad made his transition 13 years ago in October so that first Christmas was very rough! We left FL and everyone went to where I lived--the island of Roatan, Honduras so that we would have a different Christmas without the memories. Wonderful post! As a Cancerian with an early deep connection to our lovely Luna (my first word was moon!) and a lot of my own work being lunar related, I LOVED all of these beautiful suggestions. To harmonize with lunar rhythms is a powerful practice, and this post offered so many beautiful ways into which to tap into that harmony. Luna Bless! Thank you,Nuit, for your kind words and post. What a story about your first WORD! We'll have to connect more as I seek to learn about your "lunar related work." Until then, be blessed and happy! Come back and visit here anytime. I have always referred to her as Grandmother Moon. She watches over me, protects and guides me, and shares here wisdom teachings with me. This is so interesting to me. 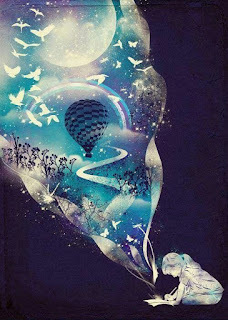 I love nature, yet I don't consider myself a 'moon person' - I'm more of a starry sky kind of gal. I really appreciate your ideas about getting closer with this luminous being! Love your suggestions for celebrating the moon and her many gifts. Thanks for sharing this beautiful post. PK Domain offers best web hosting services in low cost. Our unlimited Web hosting in Pakistan is meant for clients that are looking for a single or multiple domain hosting under one business hosting plan and one control panel. PK Domain providing web hosting services in Pakistan start your business with us now if you want low rates for web hosting in Pakistan. Give your business an online presence with us today at www.pkdomain.com.pk. PK Domain is providing cheapest web hosting us also offering dedicated website hosting for the first time in Lahore Pakistan, you can create your own website without worrying about costs.